Exercise gets our minds clear and we are more likely to crave healthy habits, including eating well. You don’t have to have a gym membership, you can do exercises at home, while at work or take a nice walk around your neighborhood. If you want to explore on your own, check out Hike.NC and get moving! Be sure you are getting protein, fat, veggies in your day so that your blood sugar stays level and your energy is strong. Decide for yourself if you will have sweets today. If so, how many? Yes, decide in advance, preferably after you’ve had a satisfying meal so you’re thinking straight and you’re not hungry. We don’t need to deprive ourselves, but planning does help. So pick your number. Maybe zero, or two, or five? If temptations rise, walk away from the bowl and check in with yourself. Decide if you will change the number. That way you don’t need to hide or feel ashamed or make comments to coworkers about how “I really shouldn’t” because you are making the decision for yourself and it’s nobody else’s concern. For some of us, we can’t even have one. Sugar may trigger physical or emotional chaos that is not worth the temporary and fleeting enjoyment of an M&M. For others, we can have treats as long as we plan and not hold on to feelings of guilt or that we need to get rid of it later (through over exercise or other means). If you have something today, savor it and have it in a respectful way (no sneaking) and then let it go. It’s only candy. Move on. Remember to be a kid today. Enjoy the fun and laughter that comes with dressing up and being silly. 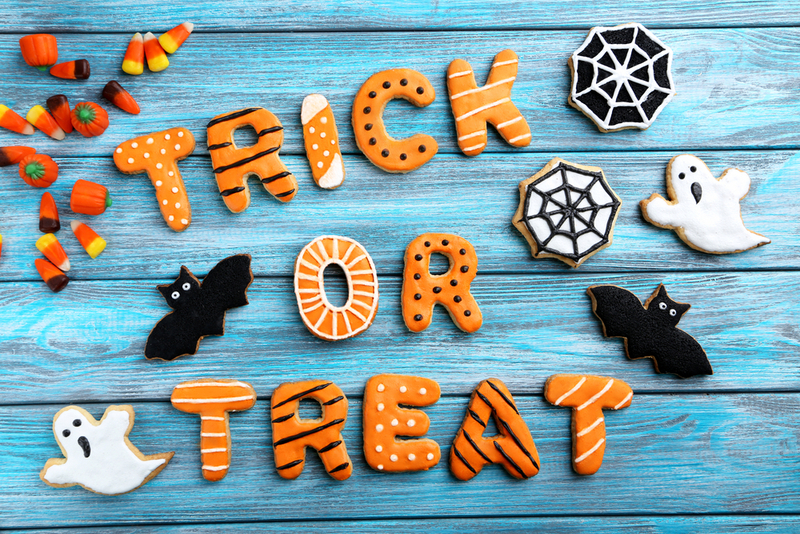 Wishing you a Happy Halloween! Read more from Arial Friedman by reading her blog GrooveAnywhere. Arial Friedman works as a brand manager with Blue Cross NC's strategy and marketing team. She is a fitness coach and also writes and serves as editor of her own health blog.